We create a spirit of community by paying it forward to those affected by cancer. Cancer is a thief. Whether you’ve walked alongside a loved one or faced a cancer battle yourself, you know just how quickly life turns upside down the minute that word is uttered. For most cancer patients who have children living at home, navigating intensive treatment while trying to keep a household afloat is utterly overwhelming. That’s where you come in. 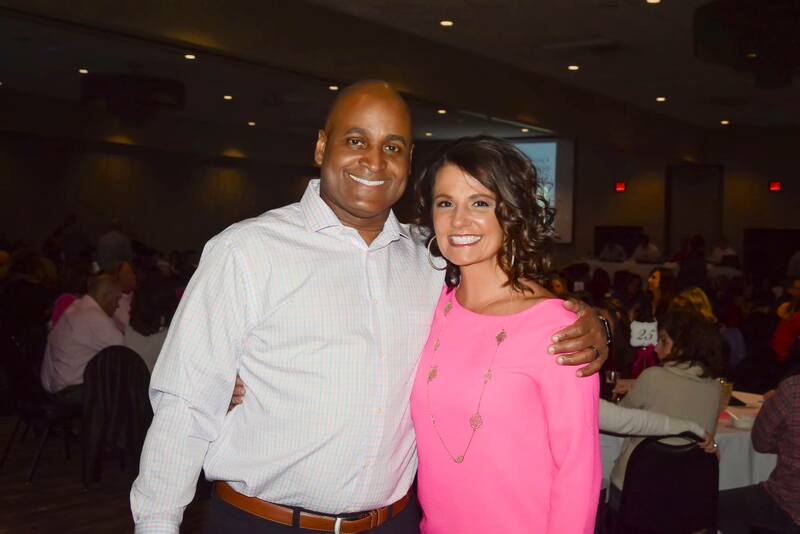 Partnering with The Stephanie Vest Foundation is a simple way to provide essential help and hope to Kansas City families facing a cancer diagnosis. 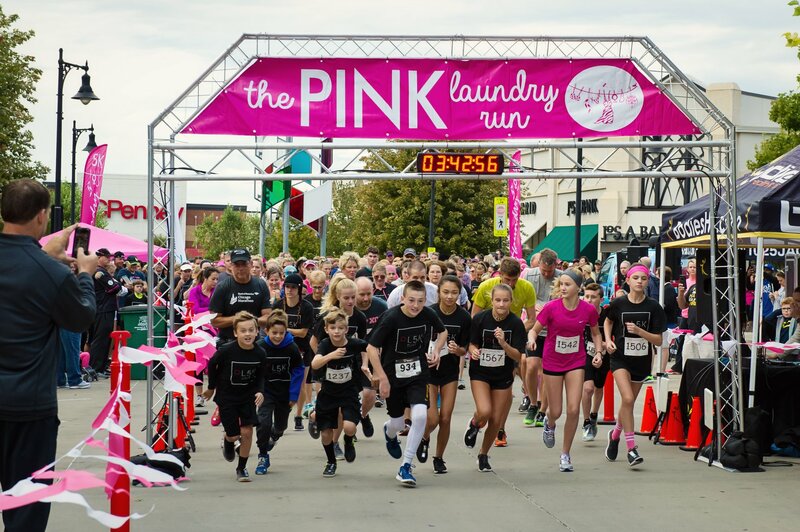 The Pink Laundry 5k is the biggest opportunity for you to make a difference! Donate and join in on this amazing event. Pay it forward with corporate fundraising. We currently partner with companies like Walmart, Target, Edward Jones, and more! Get your team ready. Brush up on random knowledge and get bragging rights while helping families in need. We would love to partner with your team or business fundraising initiatives. When cancer strikes a parent, the physical toll is often amplified by financial difficulty and emotional strain. Time off work for treatment usually means a significantly decreased income. Regular life expenses don’t stop in a medical crisis. Frequently, these families face the added trauma of losing their home. 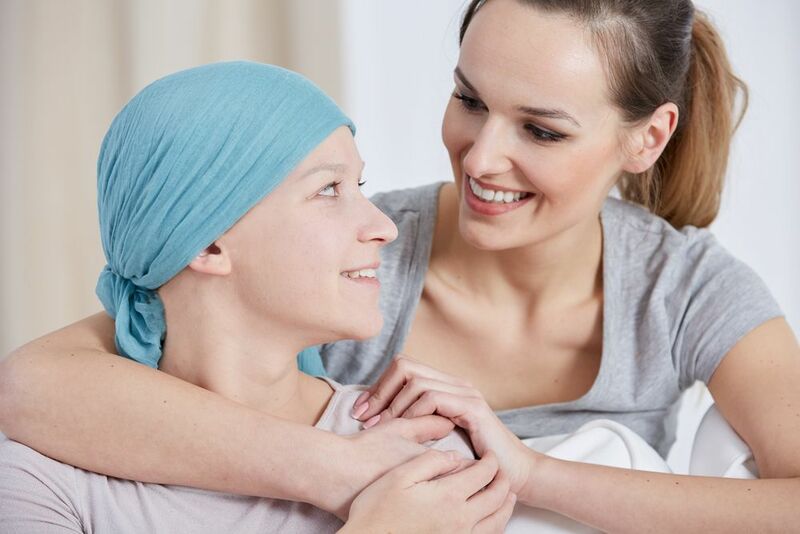 When you partner with The Stephanie Vest Foundation, you’ll be helping to meet cancer patients’ financial needs, providing stability for their children and much-needed emotional support during treatment. 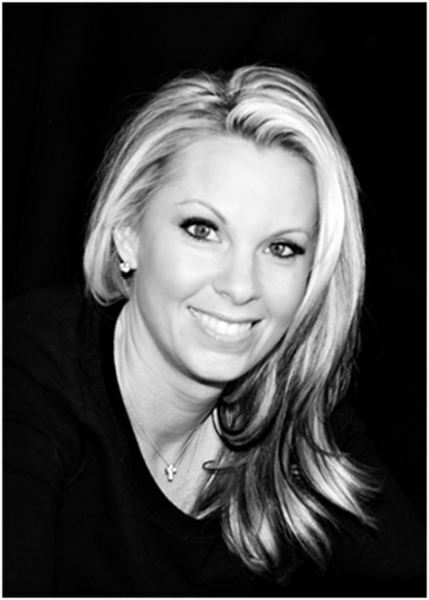 The foundation is named after Stephanie Krider Vest, a Kansas City mom who lost her courageous battle with cancer at the age of 34. In 2008, a planned 24-hour visit to the Mayo Clinic suddenly turned into an unexpected 14-week stay. Quickly, Stephanie’s friends and family gathered resources to care for her home and three young children. 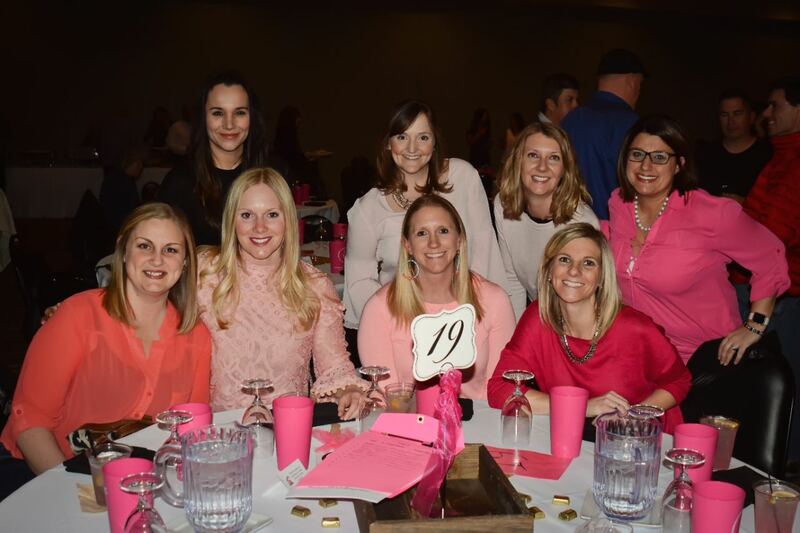 They organized the first Pink Laundry 5K to raise funds for the Vest family (an homage to Stephanie’s hot-pink laundry room and the conscious way she celebrated every facet of life). By honoring Stephanie Vest’s legacy and partnering with people like you, the foundation has helped over 130 local families and is expertly acquainted with the practical needs that matter most to parents facing cancer. 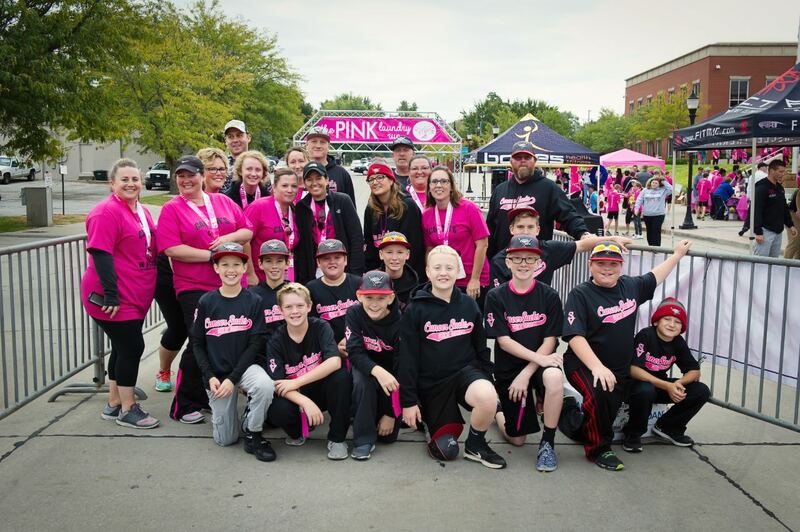 When you donate or participate in our 5K or trivia event, you are making a tangible difference in the life of a family right here in Kansas City. You’re allowing parents to concentrate on getting well instead of wondering whether they’ll be able to pay their mortgage or light bill. You’re providing children the gift of security, knowing that cancer won’t be allowed to rob them of their home. Make the choice to stand up to cancer and show up for families by donating today. Because you care, parents facing cancer can focus on living without worrying about what they’ll lose. Read real-life stories of your impact.